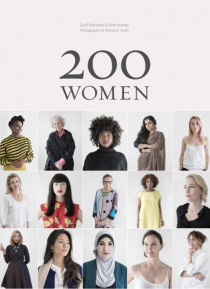 Two hundred women from a variety of backgrounds are asked the same five questions. Their answers are inspiring human stories of success and courage, love and pain, redemption and generosity. From well-known activists, artists, and innovators to everyday women whose lives are no less exceptional for that, each woman shares her unique replies to questions like "e;What really matters to you? "… e; and "e;What would you change in the world if you could? "e; Interviewees include conservation and animal welfare activist Jane Goodall, actor and human rights advocate Alfre Woodard, and Nobel Peace laureate Rigoberta Menchu, along with those who are making a difference behind the scenes around the world, such as Marion Wright Edelman, head of the Children's Defense Fund. Each interview is accompanied by a photographic portrait, resulting in a volume that is compelling in word and imageand global in its scope and resonance. This landmark book is published to coincide with an immersive traveling exhibition and an interactive website, building on this remarkable, ever-evolving project. With responses ranging from uplifting to heartbreaking, these women offer gifts of empowerment and strengthinviting us to bring positive change at a time when so many are fighting for basic freedom and equality.